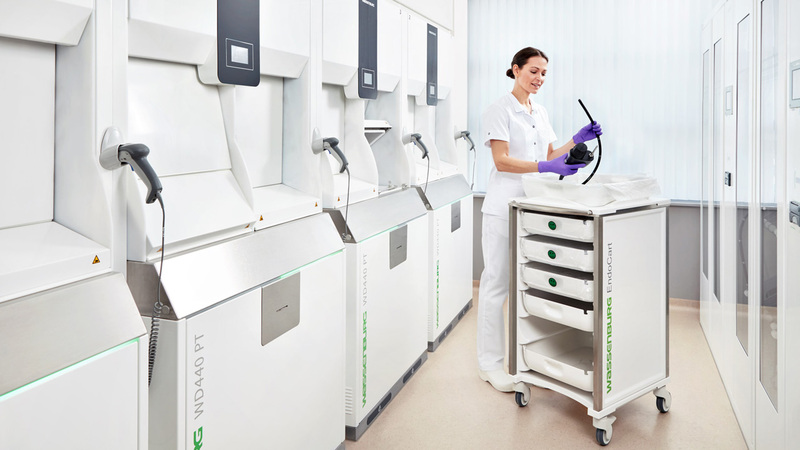 Wassenburg Medical is a world leader in delivering excellent endoscope reprocessing products and solutions. Established in 1984 by Gerrit Wassenburg, the business has developed from a family company into a global player and is an expert in all aspects related to automated endoscope reprocessing. Wassenburg Medical has been a member of the HOYA corporation since 2013. Wassenburg solutions are designed to deliver a safe and controlled treatment of flexible endoscopes. Our end-to-end total solution includes pre-cleaning, washing and disinfection, drying and storage, transport and traceability. Since its establishment, Wassenburg has grown exponentially. With headquarters in The Netherlands, sales offices in The UK, Ireland, Belgium, France, Germany and an exclusive distributors network in Europe, Middle East, Australia, New Zealand and Africa, Wassenburg Medical is expanding its global footprint rapidly.